At 6:00 pm, on Tuesday November 20, 2014 residents of Nelson Road, Freeport and its environs braved the inclement weather to witness the commissioning of the lights of the Commonwealth Recreation Ground by the Honourable Nizam Baksh, Minister of Public Utilities. This is the 157th recreation ground that has been officially commissioned with lights since 2010. On hand to witness the significant event were Dr. Glenn Ramadharsingh, Member of Parliament for Caroni East, Mr. Kelvin Ramsook, General Manager, T&TEC and his executive management team, and Mr. Anil Balliram, Councillor for the area of Freeport/Chickland. 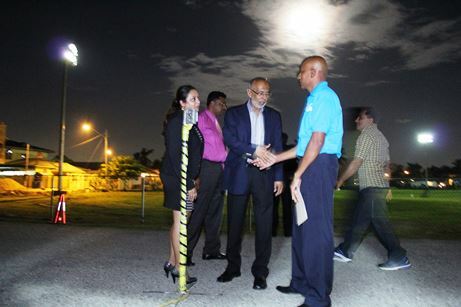 Minister Baksh, through the Public Lighting Programme, is on a drive to ensure that all public grounds are well lit and can continue to be hives of safe community activity. 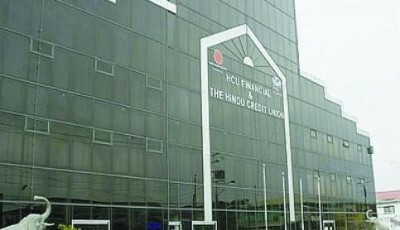 He has already commissioned six of these grounds in the Constituency of Caroni Central. The Public Lighting Programme is managed by the Ministry of Public Utilities and facilitates the illumination of recreation grounds across the country. For additional information or clarification of the above, please contact the undersigned. You are invited to our Monday Night Forum at the St. Mary’s Government Primary School.on Monday April 15th, 2019. From 7:00 P.M. Our Honorable Political Leader will be outlining our plan to get Trinidad and Tobago working again. Join our Political Leader and the United National Congress as we continue to progress towards Government.